There's so much ground-breaking technology on display at Automate that I'm surprised there aren't holes all over the conference center floor! Here are five tools for manufacturers that really stood out for us on Day 2. 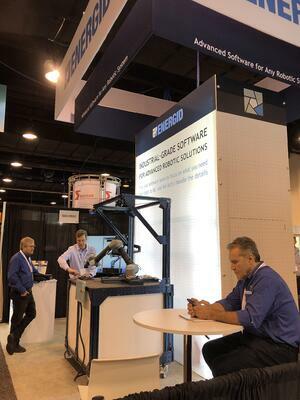 We're fans of Productive Robotics' OB7, 7-axis collaborative robot (Booth N6957). This flexibile and versatile cobot is able to do things that conventional 6-axis models cannot, enabling it to reach around objects and obstacles in the work area with a minimum of fuss. OB7 is just one of Productive Robotics' cobots. Equipped with the same “no programming”, simple to teach intelligence and human arm flexibility as OB7, OB7-Max 8 and OB7-Max 12 are designed to handle larger payloads with long reach, at 8kg and 1700mm, and 12kg and 1300mm respectively. 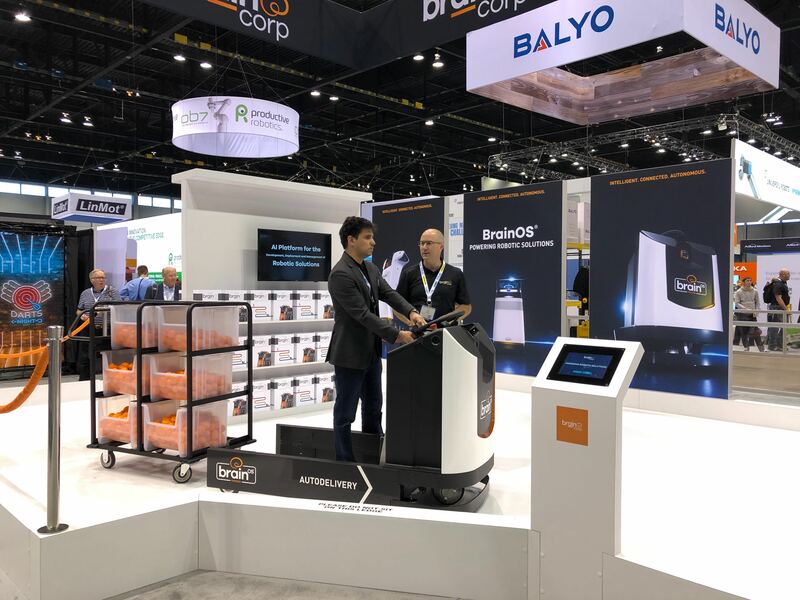 BrainOS is an autonomous navigation platform developed by Brain Corp. 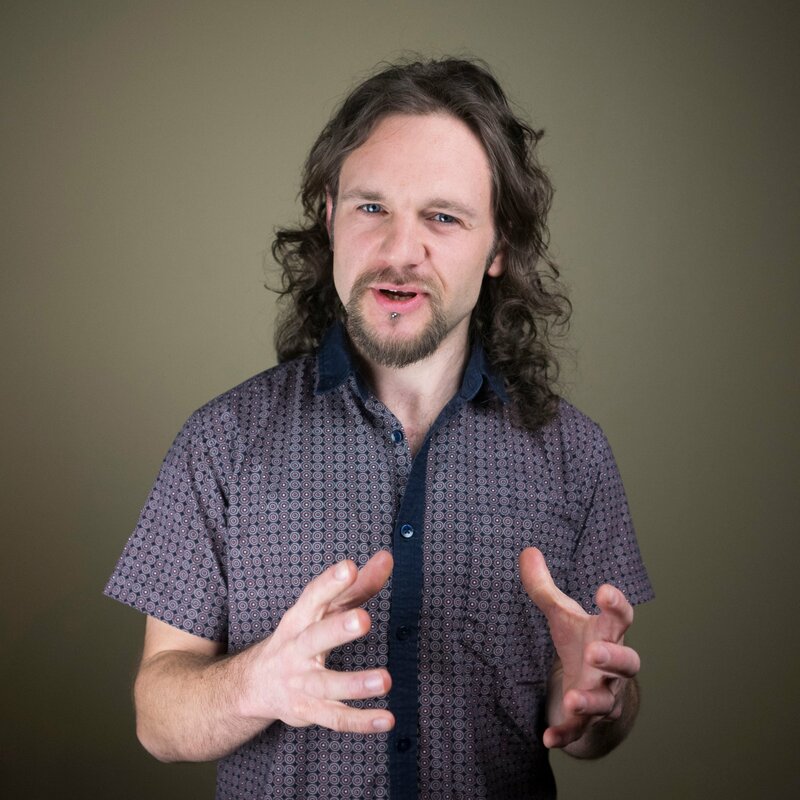 It's an ingenious idea: a proprietary operating system that integrates with off-the-shelf hardware and cloud technology to enable the creation of autonomous mobile robots. 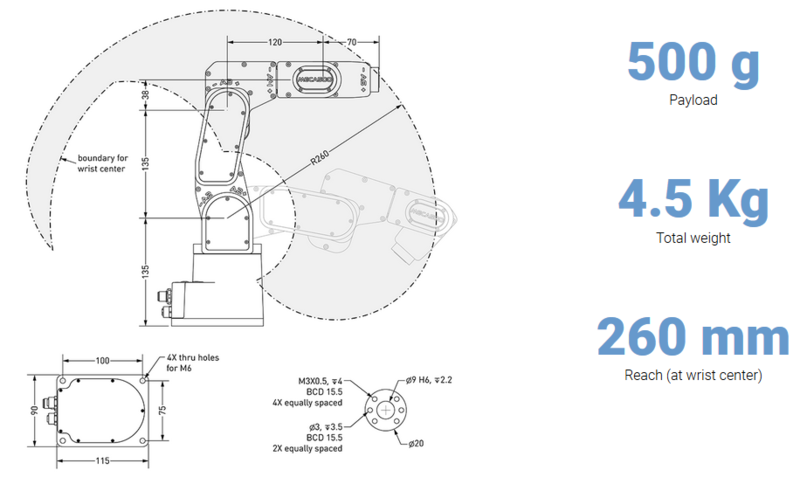 Machines using BrainOS are retrofitted with an “autonomy kit” - off-the-shelf sensors and a computer module - in order to become self-driving. Computer vision and AI libraries provide additional self-driving capabilities, enabling your robots to safely navigate cluttered and complex environments --including those with people. We liked the versatility of this technology a lot. 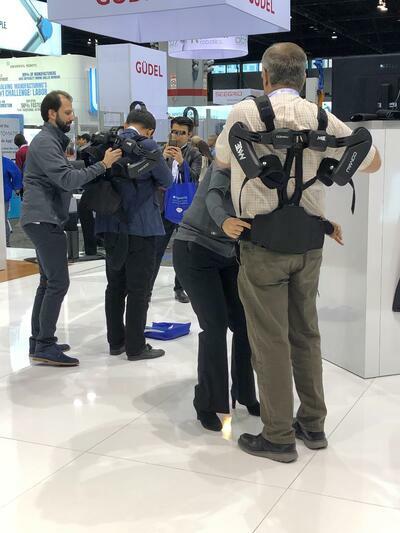 One of the most popular attractions at the show is Comau's new MATE exoskeleton; a lightweight, breathable device specially designed for manufacturing workers (Booth #7561). Developed in collaboration with ÖSSUR, a non-invasive orthopedic company based in Iceland, and IUVO, a spin-off company of the Italian BioRobotics Institute, the recently launched MATE is aimed at workers in assembly, tool handling and transportation. MATE won't turn you into Iron Man, but it can improve posture, reduce fatigue and alleviate the burden of repetitive tasks. 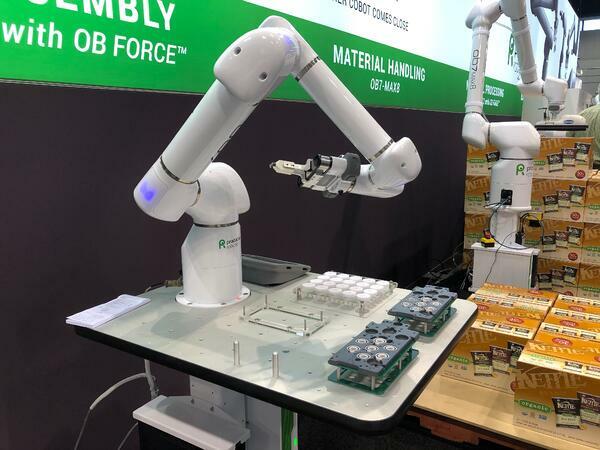 Energid (Booth #8925) has made some enhancements to its Actin 5 software development kit (SDK), including expanded support for Universal Robots' E-Series and CB3 robots. Actin 5 is advanced, real-time adaptive motion control software that enables you to design, model and control complex robotic systems from proof of concept to deployment. Actin 5 is a powerful piece of software that just got a little more powerful with enhanced UR support. Weighing in at just 4.5kg (9.92lb), the extremely cute --but also highly effective-- Meca500 (Booth #8458) is an ultracompact, plug and play, 6-axis industrial robot arm. This cute and highly effective little bot is designed for precision assembly, testing & inspection, microprecision positioning, pick & place, and dispensing tasks. We're told that the Meca500 is finding customers in many industry sectors, including watchmaking, pharma, health and electronics. Equipped with the best available zero-backlash speed reducers and with high-resolution encoders, and having a body made entirely of aluminum, the Meca500 has a repeatability of 0.005 mm. Moreover, because all of its structural components are precision machined, precision assembled and inspected at Mecademic, the Meca500 boasts unmatched position and path accuracy too. Its path accuracy is better than 0.1 mm. We liked that the robot's controller is stored in its base, which makes for a neat footprint. Coming Next: Highlights of Day 2 at Automate! 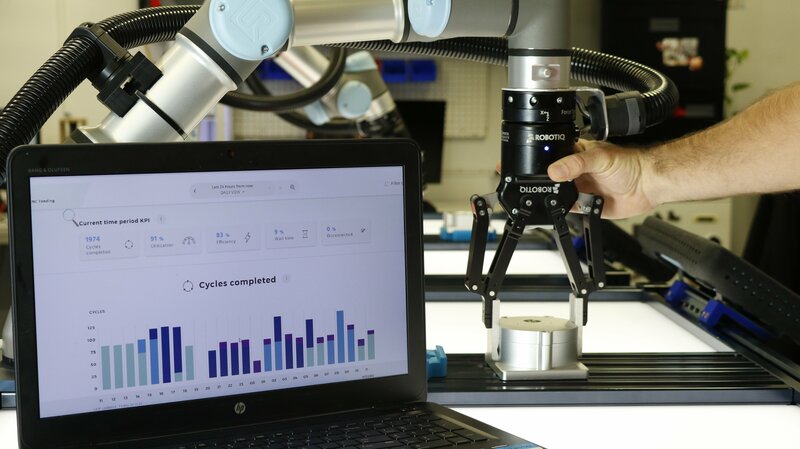 How can you improve your cobot's performance? 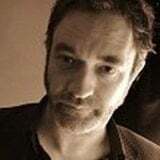 What are the best metrics to use? This new eBook is the essential guide! 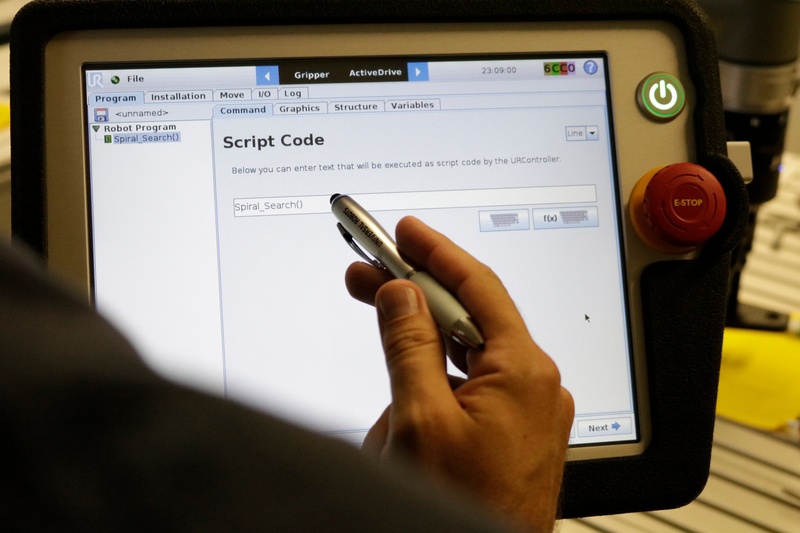 Can robot programming really be this easy? Well yes! We compare the traditional vs the new way of programming.